Zilingo raises $54 million through series c round. 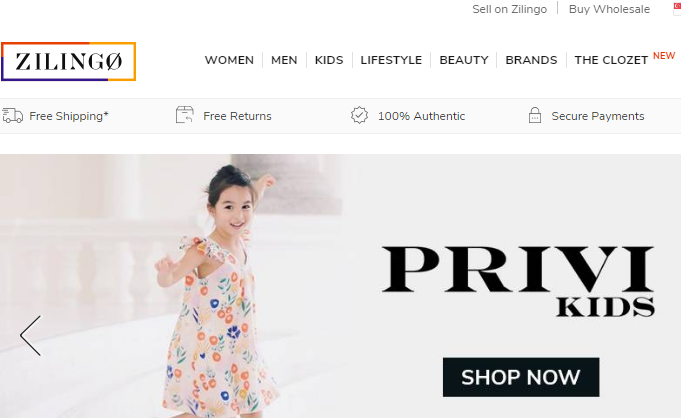 Southeast Asian fashion startup Zilingo has secured fresh capital infusion through series C round in yet another obvious signal that the competition in Southeast Asian e-commerce market is likely to heat up in coming months. Zilingo raised $54 million through this round, in which almost all the existing investors including Sofina, Burda Principal Investments, Sequoia Capital India, Tim Draper (American billionaire), SIG, Venturra and others participated in the round. Besides, a new investor Amadeus Capital has also joined Zilingo’s board following this round. Zilingo’s last fund raising round happened in September last year when it raised $17 million. The Singapore headquartered startup has so far raised $82 million through multiple rounds (including the latest series C round). Although the company did not elaborate in detail on how it intents to utilize the funds but stated that a substantial part of the funds will be allocated to its Bengaluru (India’s IT hub) based technology center. The startup actually boosts a very strong connection with India, since both its co-founders Ankiti Bose and Dhruv Kapoor are Indian citizens. The company also stated some of the funds will be channelized to expand its operations in new markets such as Malaysia and Philippines by end of this year. Zilingo over the years has emerged as one of the frontal players in Southeast Asia’s booming e-commerce market. The company claims that nearly 10,000 small fashion sellers sell their products through their platform. The startup boosts pretty good tractions in markets like Indonesia, Thailand, Singapore, while its main competitors in these markets include Alibaba backed Lazada and amazon. Zilingo’s competition with these players has intensified over the past few months as both its competitors have invested millions in a bid to improve their market share. In fact, Lazada recently raised $2 billion from Alibaba with an apparent aim to sustain the cutthroat completion in the market.